The date of this trip has changed. It is now on the weekend of the 7th & 8th July. 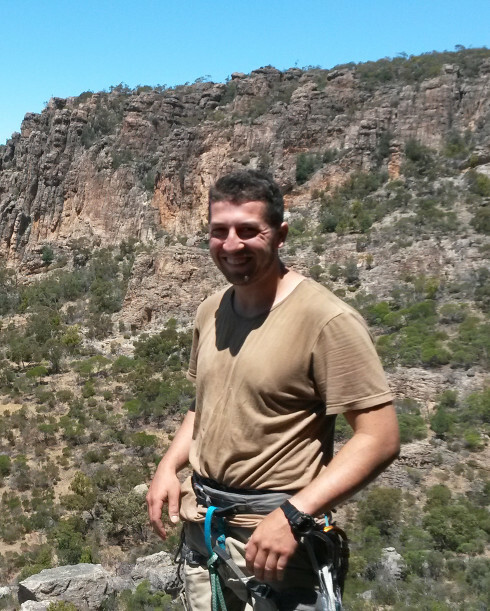 Crag X and The Solarium are in the Red Rocks area of the Victoria Range in the SW Grampians. The area has recently undergone a transformation. It used to consist mostly of a few harder trad routes from the late 80’s, but now it has been reborn as a sport climbing area. The sport climbs are mostly in the Grade 18-24 range, with a few either side. The Solarium is a perfect winter crag, with most routes catching any of the available sunshine that the ‘Climbing Gods’ are willing to provide. All levels of climbing experience are welcome, but beginner numbers will be limited. Beginners need to contact Rhys to ensure that their experience and skills are adequate for the crags. The quoted grades don’t lie – you need to be able to climb those numbers! We will probably be bush camping, so it is essential to contact Rhys, the Trip Leader, before the trip.